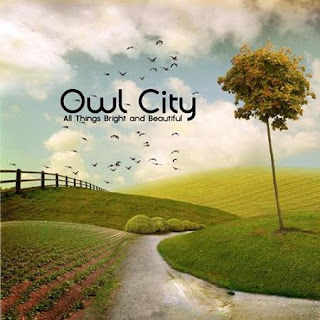 The change in background today is in honor of Owl City's new and long-awaited album, All Things Bright And Beautiful. I have been waiting for this for MONTHS. And the release date got bumped back like a kajillimillion times and I was like ARGHWHYWHYWHY but then I was patient and now it's finally here! I'm not normally like this about music releases, honest. But then I'm not usually inclined to celebrity crushes either. UM. Sorry for the crazy, guys — I'll make it up to you and post a real entry soon about bicycles and failure. It has like SIX pictures! (Maybe ten, it depends how you count.) Yay! Of HTML and Blogger: Here Be Dragons. This is my brain on FAILURE.